What are the key rates and bandings for the year ahead? For 2018/2019 (and later years) the tax-free dividend allowance is reduced to £2,000. Dividends above this amount, but within the basic rate band, are taxed at 7.5%. The dividend you receive is the gross amount. Basic rate taxpayers are able to receive up to £1,000 of savings income tax free. The limit is £500 for higher rate taxpayers. There is no savings allowance for additional rate taxpayers. Personal allowances. Since 5 April 2010 personal allowances are withdrawn from those with taxable income above £100,000 at the rate of £1 for each £2 of taxable income received above that amount. One spouse or civil partner can transfer up to 10% of their unused personal allowances to their partner as long as neither is liable higher or additional rate tax. Claims can be backdated for up to four years where conditions are met. The Scottish tax rates apply to earned income only. Where a Scottish rate taxpayer has investment income the same rates apply to it as they would to taxpayers in the rest of the UK. Rent-a-room relief amount is set at £7,500. Individuals letting accommodation in their only or main residence, whether or not they are resident at the same time, as furnished accommodation are exempt on rental and related income (rent-a-room receipts) up to a limit of £7,500 a year. Receipts in excess of £7,500 are taxed in full, but the taxpayer can elect to be taxed instead on either the full rent less expenses incurred under a normal rental business computation; or to be taxed on the rents in excess of the rent-a-room relief amount. With effect from 6 April 2017 two new tax-free allowances are available to individuals with small amounts of income from trading or property rental sources. A “trading allowance” and a “property allowance”. Both allowances are £1,000 each. In each case the £1,000 allowance applies to “income” (the receipts of the trade or property rental business) not profits. The trading allowance can be used against business income and certain miscellaneous income from providing assets or services in the course of a trade. Elections can be made so that the allowance is not given partially or at all. The amount of relief depends on whether the trading income exceeds £1,000. If the income is more than £1,000 there is a choice. Either deduct actual business expenses or elect to treat the £1,000 as tax deductible in place of the actual expenses incurred. A decision whether or not to elect can be made on a year-by-year basis. a close company in which you (or an associate) are a participator. The property allowance can be used against rental income and certain miscellaneous income from providing assets or services in the course of a trade. Elections can be made so that the allowance is not given at all, or partially. The amount of relief depends on whether the income exceeds £1,000. if the income is less than £1,000 there is complete exemption and there is no need to notify HMRC or enter it on a tax return. if the income is more than £1,000 there is a choice. Either deduct actual property expenses or elect to treat the £1,000 as tax deductible in place of the actual expenses incurred. where the restriction (which took effect on 6 April 2017) on tax-deductible loan interest and other costs used to buy or improve residential accommodation applies. As you will be aware the tax year in the UK runs from 6th April to 5th April – but why such random dates? It all dates back to Julius Caesar! Back in 45 BC we used the Julian Calendar and New Year’s Day was officially 25th March. However in the 16th century Pope Gregory Xiii decided that the ‘Julian’ calendar wasn’t accurate enough as it had lost 9 days since its introduction, compared to the solar calendar. So with this in mind, Pope Gregory introduced the Gregorian calendar. The Gregorian calendar reduced the length of the calendar year from 365.25 days to 365.2425, a reduction of 10 minutes 48 seconds per year! This meant his calendar was a much more accurate time keeper. At that point the Gregorian Calendar was introduced by many countries including Italy, Spain, Portugal and what was then the Polish-Lithuanian commonwealth. However the British Empire didn’t adopt it until 1752, by which point we were 11 days off the rest of Europe! As the old New Year’s Day was 25th March and in order to avoid losing revenue the British Treasury decided that the tax year which started on 25th March 1752 would be the usual 365 days, thereby running until 5th April. This ran smoothly and accurately until 1800, when a leap year hiccup meant that a day was lost and therefore the British Treasury once again moved the start of the tax year to 5th April and it has remained there ever since! 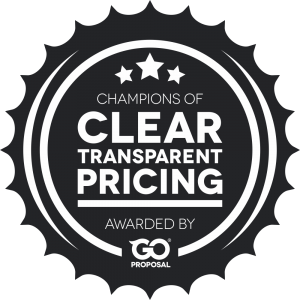 At a4c we’ve always provided transparent, all inclusive pricing, so that our clients know what they’re getting and how much it will cost them up front. No hidden extras. No nasty surprises. And now we have a jazzy new logo to prove it! 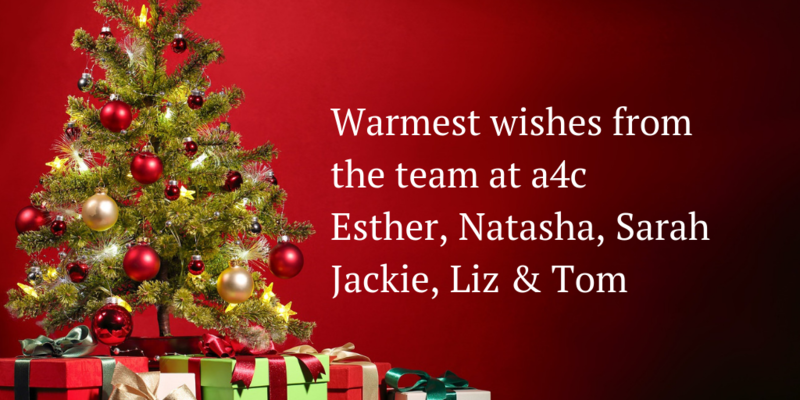 To find out how a4c can support you and your business, please get in touch today for a free and friendly chat. What is your Tax Efficient Strategy for Salary & Dividends in 2019/20? From April of 2019, the most tax efficient remuneration strategy for a director, wishing to remain within the basic rate tax band, will be to keep your monthly withdrawals from the limited company below £4,165 per month, and to save £222 per month of that amount to cover your personal tax bill. To cover the tax on dividends, which will be payable 31/01/2021. You may want to save more to also cover your payments on account for 2020/21. If you follow the above, you will avoid going into the higher rate tax bracket. Note these figures are purely based on earnings from your business and do not consider other personal income you may receive. *We don’t advise declaring dividends monthly, these may be challenged as salary. The above have been provided purely to help you budget and instead you should consider declaring dividends quarterly or six monthly. If you need to declare larger dividends then just remember that for every £1,000 that you pay yourself in dividends, over and above the £3,446 per month, you will be liable for £325 in tax (as you fall into the higher rate bracket where income is taxed at 32.5%). Want more information? We’ve created a Salary Guide with Dividend Tax Illustrations for the year ahead. To get your hands on a copy get in touch today! HMRC has issued new guidance on the VAT position for goods imported after a no-deal Brexit. Imports from inside and outside the EU may be affected. How might this affect your business? At the time of publication, a “meaningful vote” on whether to accept the government’s Brexit deal is imminent. The odds are stacked against it being approved by Parliament so businesses need to be ready in case we exit the EU without a deal. There’s official guidance on changes to customs procedures in that event and now there’s information about how to account for VAT on imports. The key think is that if you import, or intend to import, goods from the EU and don’t have a UK Economic Operator Registration and Identification (EORI) number already, you’ll need to obtain one in case of a no-deal Brexit. An EORI number can be obtained online in a matter of minutes by visiting www.gov.uk/eori. Unless it’s delayed, Brexit will occur at 11.00pm on 29 March 2019 and the procedure for accounting for VAT changes for imports arriving after that point. Goods in transit to the UK at that time are subject to the new VAT procedure. HMRC will generate monthly lists of imports linked to your EORI number. You must download and keep these with your records as you’ll need to account for VAT on this value in your next return instead of paying it at the time of entry into the UK. If you’re entitled to reclaim VAT on goods you’ve purchased from outside the UK, the new procedure will mean that you don’t suffer cash-flow problems as a result of Brexit, i.e. because usually you’ll be accounting for and reclaiming the VAT on the imports on the same return. There are various nuances and exceptions to the new procedure so it’s vital that if you import goods you read HMRC’s latest guidance on the new procedure, which might change at very short notice. Visit www.gov.uk/guidance/accounting-for-import-vat for more information. We’re approaching the end of the current tax year. What tax savings strategies should you be considering before 5th April 2019? If you are a limited company director then find time in March to review your income levels so far this year. You can then establish if there are any remaining tax rates and allowances available to use, before they change on 6th April 2019. We’ve composed a quick year-end tax planning 2018/19 guide to help you. 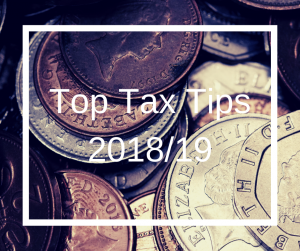 Firstly list your earnings in the 2018/19 tax year. Finally, using our tips below, decide what action you want to take and do it quickly, before it’s too late! This is the amount most people can earn tax free, between 6th April 2018 and 5th April 2019. For most limited company directors this tax free allowance will have been used up by your monthly salary payments. If not then consider paying yourself an end of year bonus. Remember however that this may trigger a National Insurance bill. Email payroll@a4cgroup.co.uk if you’re unsure of your salary payments so far this year and Tom will be happy to give you a quick update. Your limited company should reimburse you for any legitimate business expenses that you have paid for personally (such as mileage, professional subscriptions, home working allowance start up costs etc). Therefore if you haven’t repaid yourself these costs throughout the year, you can extract this money from your company now, free from tax. Remember that all expenses must be “wholly, exclusively and necessarily” incurred in the performance of your duties, check out our Expenses Guide for more info. The first £2,000 of dividends taken from your company are tax free. Over this you’ll need to pay Dividend Tax, as outlined above. Remember that dividends are the distribution of profits from your limited company – after Corporation Tax. So your company needs to be making a profit or have retained earnings for dividends to be declared. Dividends are considered part of your income for personal tax purposes either when they are paid or when they are declared (the earliest date applies). This means that you can declare dividends in the 2018/19 tax year to fully utilise your allowances, but you could actually take the money out of your business bank account in a later tax year. If your income exceeds £100,000 during the tax year your personal allowance will reduce by £1 for every £2 earned, until £125,000 which in most cases is when it’s removed altogether. Therefore if your income levels are close to this and you would normally take dividends with your salary at the end of March, you might want to consider delaying the payment until 6th April, thereby making the dividend payment fall into the next tax year. Of course if your earnings are expected to remain the same or even increase in the 2019/20 tax year then you push the problem forward, but this is wise tax planning if it looks like you might have some downtime! If your personal income is likely to push you into the higher tax band then pension contributions are a great way of reducing your liability, as well as saving for your future. If paid from the limited company they also reduce it’s Corporation Tax bill so win : win! If you don’t yet have a pension in place and need some advice then get in touch as we work with a number of Independent Financial Advisers who would be happy to help. Profits don’t have to be taken! Don’t feel that you always have to remove available profits from your limited company. If the money is not a necessity to fund your living requirements then you can leave the profits in the business and declare dividends in later months or years. Alternativley you could qualify for Entrepreneurs Relief and withdraw the retained profits in the future, when the business is closed, thus only paying tax at 10% on the funds. Remember if you work as a contractor then you may need to keep reserves in the business to support you in between contracts, known in the sector as a war chest for time on the bench! If you make a charitable donation under the Gift Aid scheme, the charity can claim back 20% basic rate tax on any donations. Using Gift Aid can also generate a refund for higher rate and additional rate taxpayers. Higher rate taxpayers can claim back the tax difference between the higher rate and basic rate on the donation. A cash gift of £80, made under the Gift Aid scheme, will generate a refund of £20 for the charity, which receives £100. The donor claims back tax of £20, making the net cost of the gift only £60. How and when is personal tax paid? If, based on the above, you have personal tax to pay then you will need to declare this in your 2018/19 self assessment tax return. This needs to be filed with HMRC, with your tax paid, by 31st January 2020. For more information on self assessment tax returns visit the HMRC guidelines at https://www.gov.uk/self-assessment-tax-returns. By law, the total minimum contribution percentage for auto enrolment pension schemes will be increasing. If you are client, where a4c runs the payroll on your behalf, then you don’t need to do anything as we will automatically update the payroll software so that the employee and employer contributions are adjusted. If you run your own payroll, or use a payroll outsourcing business then you will need to ensure that these contribution changes have been applied. Is there anything else you need to do? You may wish to inform your employees about these changes. We would recommend doing so in writing so that you have a communication audit trail. If you do not make the changes, or fail to pay across the correct contributions in the required timescale it could result in The Pensions Regulator taking regulatory action, which could include a fine. It remains your responsibility as the employer to check that this increase has been correctly applied to your workplace pension scheme and that your workforce is regularly assessed with all Eligible Jobholders included in the scheme. May we take this opportunity to wish you a very Merry Christmas and a prosperous New Year. As we reflect on 2018 we are grateful for many things but especially such wonderful clients, lovely suppliers and a fantastic team in the a4c office. We’ve worked really hard to get the majority of the self-assessment tax returns filed during 2018 and therefore we will be closing the office for a few days over Christmas to rest and recharge our batteries, ahead of the final push towards the filing deadline at the end of January. 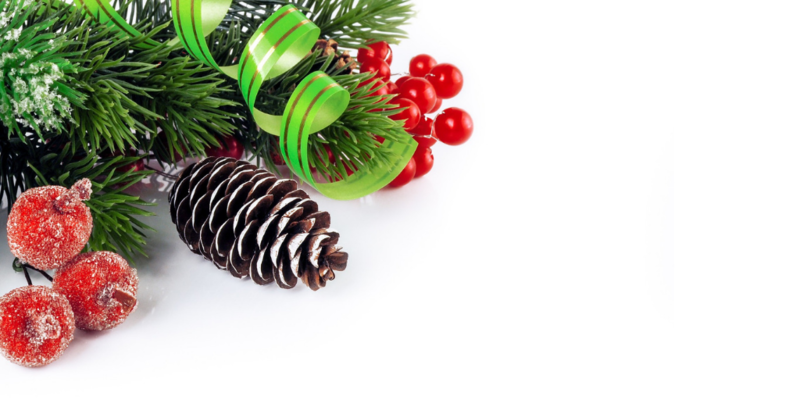 The office will close on Friday 21st Dec and will reopen on Wednesday 2nd Jan. If you need to file a tax return in January for the 2017/18 tax year then please use the Christmas period to gather your paperwork together and email esther@a4cgroup.co.uk. Last week Esther & Natasha attended Xerocon, the accountancy industry’s annual conference, hosted by Xero. The Xerocon event was held at the Excel conference centre in London and hosted by Louise Minchin – it was very rock n roll and not at all what you would expect for a room full of accountants! The theme was ‘Human At Heart’ and each of the keynote speeches were focussed on artificial intelligence (AI) and how our lives will be changed by automation in years ahead. Of course, the automation is largely driven by HMRC’s project called Making Tax Digital (MTD), where the 2.1 million business who are registered for VAT will need to use approved software to file their VAT returns from April 2019. A large chunk of the event was dedicated to MTD; who is affected and how the changes need to be implemented. At a4c, Natasha is our qualified MTD advisor, with the rest of the team taking their certifications later this month. As individuals, we are naturally programmed to fear change. Gert Leonhard is a Futurist and he gave a keynote presentation on how data is the new oil. It’s unsurprising that the richest companies in the world trade in data; Apple, Microsoft, Facebook etc. The internet of things is our new nervous system and when companies such as Amazon use data to plan deliveries based on weather and traffic conditions, they are all taking data and turning it into knowledge. Consider how the music industry has changed from record shops to online streaming. The pop charts now record success based on downloads rather than sales. Media & marketing is now all about the social media presence. Who has the most likes and shares! Transportation now includes smart motorways which know about congestion and pollution and change the speed limits accordingly. Banking is done via apps and contactless cards. Accounting and book-keeping is going hands free with Receipt Bank and Xero smart software combinations. In thirty years’ time because of automation there will be jobs that haven’t even been invented yet. Already we have ‘Meme Makers’ and ‘Royalty Miners’, what other crazy sounding jobs will future generations aspire to have?! 20 big features will be added to the mobile app, including P&L at a glance, print using air print, simpler sales and bill creation. And of course, the largest chunk of development resource has been on the HMRC MTD project. The Beta site looks very impressive and we’re delighted that Xero have used the required HMRC changes to improve the Xero user experience. You will already be aware how impressed we are at a4c with Xero. It’s simple to use and supports clients to take control over their business affairs. The company is always looking to improve and shares our desire to make your accounting experiences better and hassle-free. As we head towards 2019 a4c will be embracing the change all will face in terms of MTD. As a team, we are spending a lot of time researching and training ourselves on the new HMRC requirements so that we can fully support you with compliance. But more than MTD, we want to ensure that where possible we focus the power of artificial intelligence to make your day to day lives easier when it comes to record keeping, as we know this will help you to save tax and understand what your business needs to grow and thrive in an ever-evolving technological landscape.